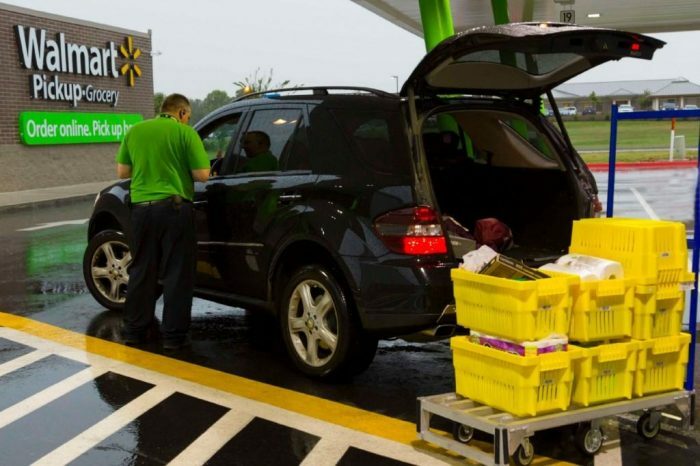 Reviewing the Walmart Grocery Pickup Customer Experience: The Good, The Bad, and ... The Unintegrated? 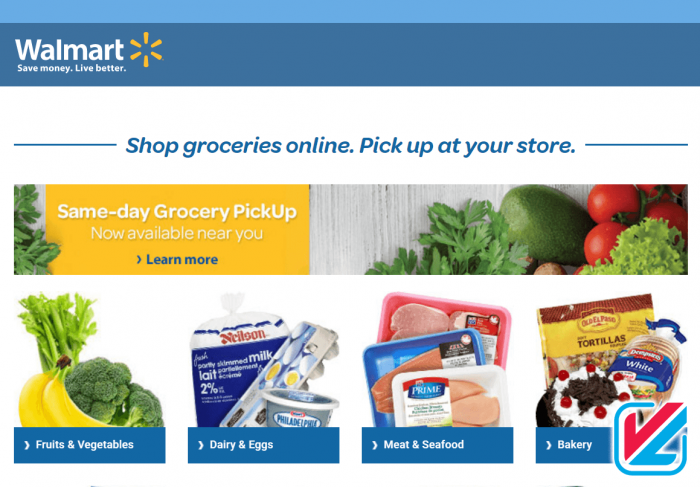 Reviewing the Walmart Grocery Pickup Customer Experience: The Good, The Bad, and … The Unintegrated? Data integration is sometimes an abstract idea that’s hard to explain. You just might not realise it! Unbeknownst to many of us, the quality of a business’ data integrations (and their strategy on how to approach their data and its integration) greatly informs customer experience. Some examples: Order something off of Amazon, only to have it show up to your neighbor’s address? That’s poor data integration and likely a lack of data cleansing. Expected an online coupon to work in-store? Poor data integration and/or a poorly conceptualized omnichannel customer experience. Got emailed a receipt as soon as you left a store? Data integration at it’s best. Recently, I went on an expedition to experience the Walmart Grocery PickUp. After hearing Walmart’s top CEOs talk at STORE 2016, and listening to some testimonials from friends who had already tried it, I decided to give it a go. After all, Walmart – an omni-channel retailing behemoth – should have this omni-channel stuff all figured out. I was expecting great experience — and what I discovered surprised me. Keep reading, and scroll to the bottom for a NEW update! B2B Business looking for Walmart API or EDI Integration? So shiny and clean – but what horrors lie within? And by ‘experience’, I mean that I appreciate their prices, and to their credit, the produce quality has been improving. But I don’t exactly look forward to shopping at Walmart, where I regularly do my grocery shopping. It’s noisy, not often the cleanest, and crowded beyond belief. At my local Walmart, everyone seems to check their sanity at the parking lot entrance. So when the opportunity to do my grocery shopping online and pick up my order at my convenience at Walmart arose, I was curious. What sort of customer experience had Walmart constructed for me and others like me? It was time to do some first-hand research, and this is what I’ve discovered about Walmart’s customer experience — and their data integration. The customer experience online and at the store were absolutely hiccup-free. In fact, I rather enjoyed the online process! I could add items into my cart on-demand (either in my browser on my phone, or through the app), effectively ridding myself of the need to keep a grocery list. The online Walmart Grocery ordering process is a Millennial’s dream. As a cat-lady-in-training, I exclusivly order copious amounts of canned cat food. The website also keeps a running ‘receipt’ of all the items you add into the cart. This is great for keeping to a budget. Also, I continually forget to add junk food to my cart, so it’s additionally (unintentionally) minding my diet I guess. And finally, picking up my order at the store was a lot easier than I expected. You pull into a special parking spot at your predetermined time (which goes by hour increments; mine is usually 5-6 PM) and call a special phone number. A Walmart associate comes out (after a few minutes of awkwardly sitting in your car), helps you load up your car, and you’re off. Just sign on the mobile POS’ dotted line, and you’re done. Easy. Right? No way was I going to let Walmart off easy in this little experiment. Where’s the fun in that? I started this experiment with the mindset of: “I’m going to push Walmart’s Grocery PickUp to its limits to see where it’s shortfalls are.” I put on my sh*t disturbing hat and got to work (intentionally and unintentionally) testing Walmart. The first area customer experience and expectation is usually at the first data touch point your business has with your customers: when they input their payment and shipping information. The customer doesn’t care how the data got input incorrectly, but they sure will care when other actions down the line that affect their order or shipment fall off because that data stayed wrong in your systems. If you’re not using data cleansing services (something that VL can help you with, or recommend you to one of our partners), this is an absolutely crucial point of data entry that you’re likely letting your customers bugger up. Input your address wrong? Transpose a couple of your credit card numbers? If you’re not asking your customers to confirm the accuracy of the data they’re inputting into your systems or otherwise verifying that data right as it’s being inputted the very first time, you’re asking for trouble. And in Walmart’s Grocery PickUp’s case, ‘trouble’ was spelt ‘Jessica’. Knowing where and how customer experience and data are tied together in any omni-channel experience, I had some fun. I transposed a couple of the digits in my credit card number when inputting my payment methods for the very first time, just to see if Walmart’s systems were built to catch it. They didn’t. This is where things got interesting. I was able to complete my transaction with an invalid credit card number. My order was processed. I waited for what was to come next. It took a full day for Walmart to pick up on this error. Oh my. And when they did get wise to the incorrect billing information, their process was to have their customer care centre call me. A call that I missed, because it was 9:30 in the morning on a weekday. I did hear the message fairly quickly after I received it, which was lucky for me because I only had until 10 AM – less than 30 minutes at that point – to call them back with the correct billing information before my order was going to be cancelled. I called, things were remedied, and I was told my order was back on. Or so it seemed. That evening, I went to Walmart to pick up my order. I pulled into my special spot, called the number for Grocery PickUp, and — was told my order was cancelled. What?? I called the customer care centre back, and had a long conversation about what had happened. And in so doing, I exposed the weak point in Walmart’s armor: their data and systems are not fully integrated. I spoke with a manager over the phone. Yes, it was confirmed that I had called within the window allowed to correct my information. Yes, that information had been processed correctly through their system. Yes, the order was back on according to their back-end systems. So where did things fail? The customer service representative I had talked to never called the store to tell them my order was back on. That’s right, the customer rep is responsible for the manual process of calling the store after my data had been (manually) cleansed through this ordeal. The customer service rep was responsible for calling the store – a manual process that she never completed for my order. She has just simply forgotten to call the store. And my order stayed cancelled as a result. This wasn’t an isolated incident, either. Rather liking the Walmart Grocery PickUp experience (not the fumbled customer experience part, but the not having to go into the store part), I’ve actually been shopping this way ever since. But, being an entitled Millennial and all, I’ve had to make changes to my orders after they’ve been placed since this initial test. Even the big guys get it wrong. Walmart, a multi-billion dollar international corporation, messed up the (my) customer experience. Why? Because of poor data integration and relying on manual processes in key areas of the customer experience. There weren’t any data-cleansing mechanisms in place at the point of data entry. This is a major faux pas, and Walmart should really know better here. There are manual processes at key points. The customer care reps should not be responsible for calling a store to correct orders. What is this, 1999? Let me dust off my fax machine while I’m at it, too. Walmart should absolutely integrate their customer care applications into their order management software so that the reps can enter new payment information (and whatever other data) and have this info automatically pushed out to the other applications involved in order management. The update should be automated. This is the difference between high-quality data integration services and sloppy half-done data integration. Again, Walmart should have known better. The customer should be given all the tools they need – and expect. Need to make a change to your order? Remove some items after an order is placed? Change billing information? Part of the customer experience is empowering your customers to do these things on their own via the same portal they initially placed their order through. If you’re competing against Amazon, you need to go the full mile and make sure that the customer experience flows all the way through, and doesn’t just stop after ‘Confirm Payment’. Fully integrating the back-end of your ecommerce portal to the rest of your application stack takes care of the rest – if information is updated there, good data integration ensures that this data is disseminated throughout the rest of the corporation. And customer care reps are freed up to deal with other, less mundane issues. December, 2017: It appears that the Walmart I frequent tends to be a test market for innovations. On my last visit where I actually had to go inside my local Walmart, I noticed a new kiosk loaded with what looked like smartphones. Upon closer inspection, it turns out that this Walmart had installed a scan-and-go service; I’ll go into more detail below. But first, how I ended up going inside the Walmart. As you’ve read above, I became a fan of the order online/pickup in store Walmart customer journey. So much so, that I no longer had any desire to set foot in this Walmart again, and with good reason: this location is incredibly busy, cram-packed during hours I can shop, and generally does not serve my mental state well. Why go inside, when you can sit in the parking lot and have your groceries brought out to you? It’s a huge time-saver, too: 45-60 minutes of shopping in the store versus 5 minutes in the lot. It’s an easy choice for my lifestyle all-around. So why would I go into the Walmart? The Walmart Ordering App stopped working for me. This happened over the course of months; I’d get to the process payment step, only for the App to stall time and time again. It would even time out, and my phone would force me to stop the app as it would quickly drain my battery. Being in the digital B2B space, when errors like this crop up I usually do the courteous thing and reach out to whomever I can to let them know about my issue. Not only does this increase my chances of solving my problem, but if they issue is happening with other customers, it could signify a huge issue that deserves attention anyways. Win-win. After reaching out several times where Walmart staff informed me there was no issue with the app, Walmart eventually sent out a blanket email apologizing for an issue with the app (I guess I was right all along). Meanwhile, I had stopped shopping at Walmart, frequenting a different grocer. While this grocer was further away and more expensive to shop with, they had a much better in-store experience. If I had to shop for groceries, I was going to do it somewhere where I’d have a good customer experience. Eventually I was able to get a Walmart Grocery Pickup app order to go through, as resumed my usual habit — only for the problem to repeat itself. Again, I reached out to Walmart, where they again told me there was no issue. I restarted my phone. I deleted and reinstalled the app. I tried ordering through their web portal on two different browsers. Nothing worked, and Walmart support were convinced there was no problem. Looks like I had to go into the Walmart: I needed some non-perishables that Walmart simply carried for cheaper. Begrudgingly, I entered the store… and noticed something new. Behind the greeter, there was a bank of what looked to be phones. On closer inspection, I realized that these were self-scanners, and they fit into a holder that had been newly installed on every cart. Shopping at Walmart was about to get interesting. Clearly, Walmart had implemented some slick technology to make this experience possible. The hardware itself wasn’t important, but the scanning functionality, along with the seamless transfer of the purchase data from the scanner to the self-checkout machine was impressive. 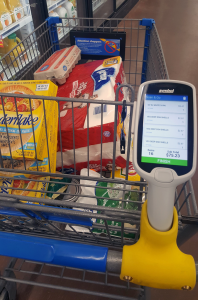 Because Walmart had set a great foundation of other supporting technology and hardware in advance, adding this new scan-and-go functionality was a small leap; all the infrastructural (data integration included) was already in place. With my shopping complete, I was off! When the Walmart was safely in my rear-view mirror, I thought to myself: Walmart’s is again pioneering advances in the grocery customer experience. And… I can’t wait for other stores to catch up. April 2018: Walmart is aparently partnering with “everyone” except Instacart for its grocery delivery service. Read more here. 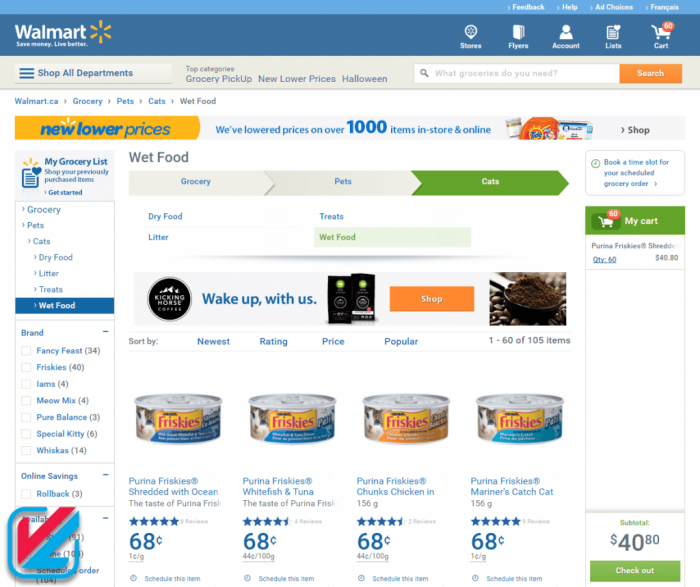 Learn from my experience with Walmart’s Grocery Customer Experience — if data integration is this important to informing their customer experience, how is it affecting your business? Is Walmart one of your business’ trading partners?